Along with my regular posts at SeanMcDowell.org, I am now featuring some of my former students in the Biola Apologetics Program. This post is by my friend Timothy Fox, who helped me with both the Awana Advocates curriculum and the updated and revised Evidence that Demands a Verdict. He also blogs at Free Thinking Ministries and you can follow him on Twitter at @TimothyDFox. Enjoy! It has become trendy in some circles to refer to people with certain political views as NPCs. In video game lingo, an NPC is a “non-playable character,” a character that is not controlled by any player. They can be extremely simple or intricate and complex, but they are still mindless characters who solely follow their programming. 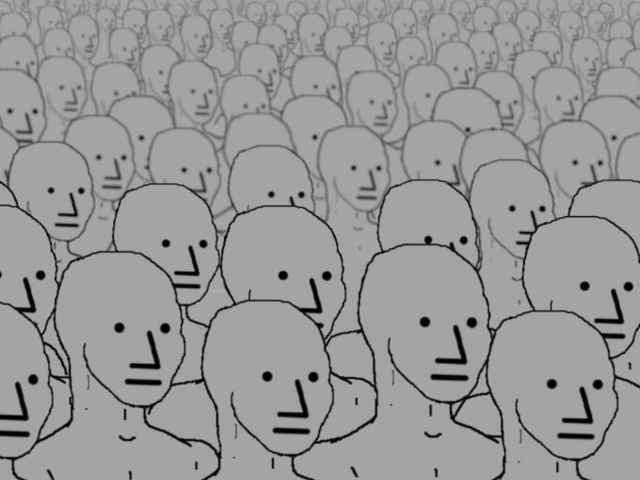 Thus, to call someone an NPC means they have no mind of their own but are merely repeating slogans and talking points according to their social/cultural/political “programming.” Needless to say, there are many who find this idea completely dehumanizing. Maybe there’s some truth to this, however. And maybe it doesn’t go far enough. What if it isn’t just a subset of humanity who are NPCs? What if we’re all NPCs? This is exactly what some prominent thinkers argue. Richard Dawkins says, “We are survival machines – robot vehicles blindly programmed to preserve the selfish molecules known as genes”. Stephen Hawking states, “we are no more than biological machines and… free will is just an illusion.” Sam Harris also claims, “Free will is an illusion.” Daniel Dennett argues in various writings that consciousness itself is an illusion. To summarize, humans are blindly-programmed biological machines who have no free will and no consciousness. In other words: We’re all NPCs. But there’s an important connection between these thinkers: they’re all atheists. The most common form of atheism is naturalism, the view that the natural world is all that exists. No God, no soul, just physical stuff and the laws of nature. So, if that is what reality is truly like, how can humans be anything other than mindless meat machines? We may be very complex NPCs who believe we can think and feel and make real choices. According to naturalism, however, that is all an illusion. Sorry, freethinkers, but you’re just as much an NPC as everyone else. In Christianity, humans are created in God’s image (Gen. 1:27), meaning that we are like him in many ways. We are more than our physical bodies but have a soul as well. Thus, we are not just meat machines following our biological programming. We have an immaterial self, unfettered by the laws of physics that is truly free to make real decisions. Furthermore, God wants us to reason (Isa. 1:18) and to love Him with all our minds (Matt. 22:37). He did not create a collective of NPCs to blindly serve Him; we are free to follow His commands or to reject Him. Unlike naturalism, Christianity has a very high view of humanity. And contrary to what our critics may say, Christians have justification to consider ourselves true freethinkers. Calling someone an NPC may be just another way of mocking them for their views and behaviors. But it should also cause you to reflect on human nature. Are you truly free to think for yourself and make choices or are you an NPC too? If you consider yourself a freethinker and not one of the mindless “sheep,” you’d better have a worldview that accommodates it. Naturalism doesn’t. Try Christianity. For more on this, see Tim Stratton’s Freethinking Argument Against Naturalism.